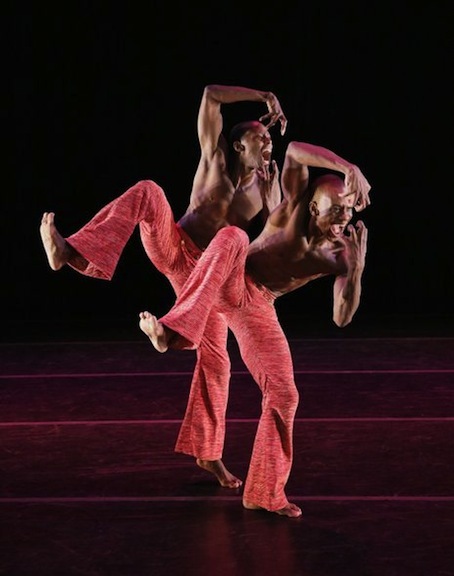 If you're suffering from "So You Think You Can Dance" withdrawal, head to the Music Center for a live performance from the incomparable Alvin Ailey American Dance Theater. The modern dance company returns to Los Angeles with company classics and new works set to eclectic scores that range from Dean Martin to mambo and techno to traditional Israeli music. One thing that the pieces have in common is that they will all leave you completely breathless. Two of Los Angeles' best punk bands unite for an epic evening at the legendary venue. Both come armed with an arsenal of new songs from recently released albums – Bad Religion's True North and the Bronx's IV – to go along with a slew of hits and favorites from their vast catalogs. This is the show not to miss this week. Moon Block Party presents a more laid-back alternative to that other music festival going on in the desert. 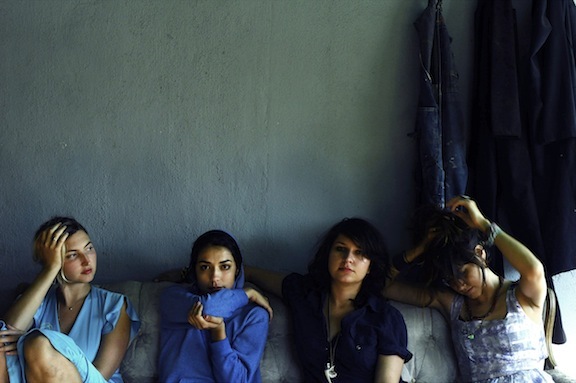 With performances by Tinariwen, Warpaint, Chelsea Wolfe, the Entrance Band, Fool's Gold and Jeffertittis Nile, it's sure to be an unforgettable day under palm trees and the desert sky. Make sure to check out what's still available in terms of on and offsite camping, so you don't have to drive all the way back home after the concert. If you're a vinyl aficionado, then this is the day you wait for all year. Make sure to check with your favorite shops to see what they've got going on. Jacknife is having a huge sale, while Amoeba's hosting guest DJs like Lucinda Williams and a silk-screening fundraiser for Silverlake Conservatory of Music. The fourth annual event features exclusive releases from artists like Fela Kuti, At the Drive-In and Sigur Rós, limited edition 7-inches from the Black Keys/Stooges, Moby/Mark Lanegan, and AM & Shawn Lee and special singles from bands like Grouplove, Frightened Rabbit and Manchester Orchestra. Today also marks the DVD release of an official Record Store Day 2013 film, Last Shop Standing, a documentary spotlighting record store owners and their amazing stories. The annual Public Displays of Art event incorporates performance, sidewalk chalk, sculpture, live musical, cinematic and gallery art through exhibits and hands-on workshops throughout the neighborhood of Echo Park. With 55 local business transforming into showrooms and/or offering special discounts – e.g. free poetry at Blue Collar Working Dog, a photo exhibit and $4 brownie and cup of coffee at Stories – there is plenty to feast your eyes, stomachs and souls on throughout the day. The 18th annual literary event boasts a lineup of over 400 award-winning authors, musicians and chefs presenting and discussing their books, including Carol Burnett, Orson Scott Card, Ludo Lefebvre and Daniel Handler among many others. Whether you're a fan of noir, poetry, YA fiction, graphic novels or cookbooks, there is bound to be a panel or conversation for you. Local musical acts like Dustbowl Revival, Jasper Dickson and Max Lugavere are also set to perform. Through Sunday. It's hard to believe that the cooking contest is already marking its 11th invitational that celebrates the buttery, cheesy sandwich in all its glory. Besides the main competition, there are cooking demos, costume, poetry and cheese calling contests, as well as a beer garden and, of course, vendors such as the Grilled Cheese Truck, Heywood, the Counter, the Oaks and many more to satiate all your gooey cravings. If you're in the mood for some tacos on Saturday, Grand Park is the place to be. With establishments like Yuca's, Mexicali, Guerrilla and Mariscos Jalisco offering up their best tortilla-wrapped deliciousness, live mural painting, cocktails by La City and DJs such as Azul, Destroyer and B+ spinning throughout the day, it's going to be one crazy party. 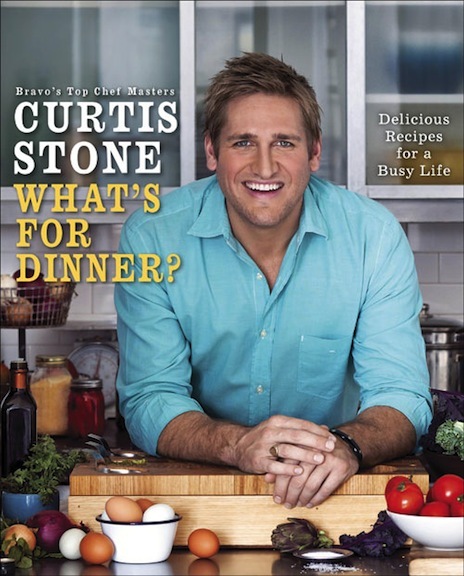 The acclaimed chef and host of "Top Chef Masters" just released his latest cookbook, What's for Dinner? : Delicious Recipes for a Busy Life, offering novice cooks and seasoned chefs recipes and easy-to-make meals for hectic weeknights. As a new father, Stone is all about quick yet healthy choices like Grilled Shrimp and Rice Noodle Salad, Chicken and Chorizo Paella and Mushroom Ragout on Creamy Grits. He'll be signing copies of the book tonight at the Grove. Chuck Ragan returns with his annual "acoustic collaborative event" that celebrates the spirit of folk music and the camaraderie of the musicians that it brings together. This year's performers includes Rise Against's Tim McIlrath, Dave Hause of the Loved Ones, Jenny O. and naturally the Hot Water Music frontman, Ragan. Get ready to dance, as the French Latin Grammy nominee returns to Los Angeles. It's impossible not to get up and move to his Afro-Latin grooves mixed with Jamaican reggae and dancehall. Garcia successfully melds his Spanish roots with Caribbean and Latin flavors for a genre all his own, which he dubs as "salsamuffin." Experience it yourself, tonight at Los Globos.